Multi Gas Clip Infrared is a technologically advanced, portable multi gas detector that can solve many gas detection challenges of mining and confined space work. The durable detector doesn’t require oxygen to detect gas, so it is always reliable when oxygen levels are low. It detects and warns against hazardous levels of combustible gases (LEL), hydrogen sulphide (H₂S), carbon monoxide (CO) & oxygen (O₂). It has a two-month continuous run time without recharging, so it can keep working when users depend on it most. The extended battery life comes from the use of low power photometric infrared technology for LEL measurement. The detector’s LEL sensor is immune to catalytic poisons and it fails to safe. Day in, day out, mining workers have to charge their portable multi gas detectors so they can keep testing for the presence of gases. Unfortunately, sometimes they may forget to do so. The Multi Gas Clip Infrared helps solve this problem. nightly the battery can last up to four months. Instead of draining the battery with archaic pellistor technology, it uses an IR source. This conserves power, so the battery lasts and lasts and lasts. 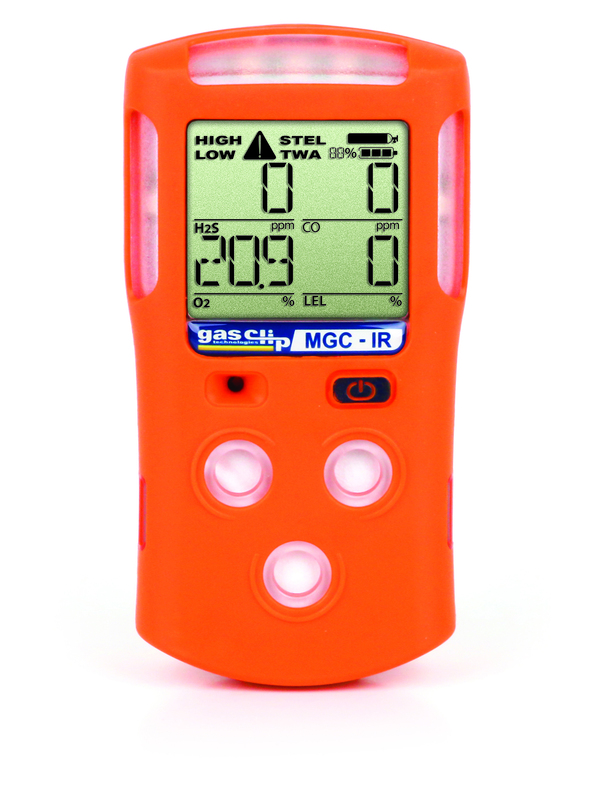 The detector also eliminates the need to frequently calibrate portable gas detectors. It can go 12 months without being calibrated. That saves time and increases efficiency.